A thorough grounding in stained glass and glass fusing. 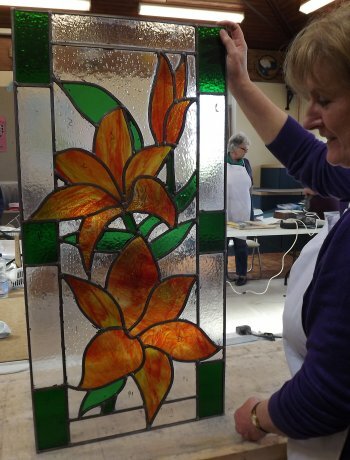 Master traditional and contemporary stained glass plus glass fusing techniques in a friendly setting! Do you look at a huge stained glass window and wonder how it was made? Would you like to learn how to make windows for your home? 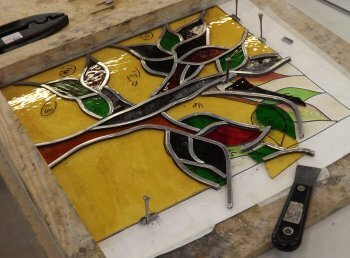 Have you already discovered the pleasure of making stained glass but want to refine your skills or learn new techniques? 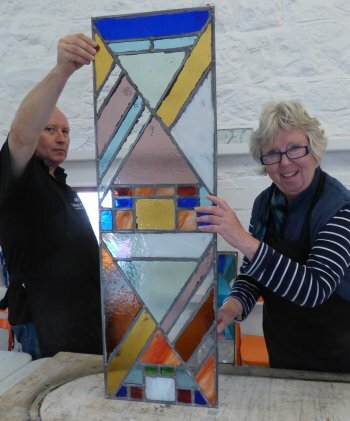 The Vitreus Art 5-day stained glass and fusing course is designed for beginners as well as those with some experience. The course is tailored for each attendee according to their goals with the emphasis on your own projects (with as much or little design input from us as you need). With a maximum of 4 students and two highly experienced tutors you'll receive as much guidance and tuition as you want, in a supportive and friendly environment. 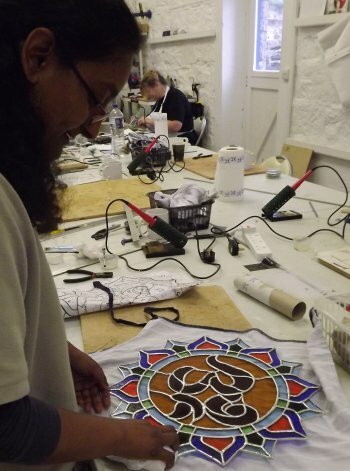 Students on past courses have made Tiffany-style lamps, 3d outdoor sculptures, intricate foiled decorative panels, internal and external windows ranging from small to huge, art pieces incorporating shells, jewels, mirror and found items, mirrors and garden art. What would you like to make? If you have questions about the course content, the materials used or finding accommodation, get in touch and we'll try to help. If you're ready to secure your place with a £100 deposit, you can do so online using a credit or debit card. Click here for more info about the course. plus all sorts of photography, painting and stained glass information, click here and subscribe.